Limousines have become more available than ever, all thanks to limo hire services. However, that doesn’t mean all limousines are easy to hire or even easy to gain access to. There are certain vehicles, which have made it on top of all lists of exclusivity, attractiveness and luxury. They are not only remarkably expensive but also extravagant, meaning you will hardly ever find yourself in one for your typical event under normal circumstances. The American Dream – this one has almost earned legendary status and is currently holding the Guinness World Record for being the longest car ever to travel the roads. This hundred-foot-long vehicle requires a whopping 26 tires to function. However, being such a massive vehicle leaves plenty of room for features such as a sun deck, a swimming pool, a Jacuzzi and even few beds. There is so much space that there is also a helipad. Designed by Jay Ohrberg, this limousine is not the only unusual vehicle you’d find in the car company. 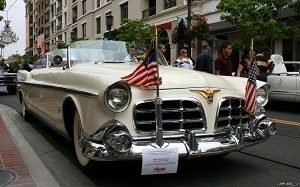 The American Dream is priced at a little over £2.9 million. Toyota Century Royal – the giant Japanese company has gained quite a popularity for producing this exquisite limousine. The 4-door vehicle is used exclusively for the Emperor. As such, only four cars have been produced in total since 2006. It features security measures, as well as wool cloth cushioning, internal granite entry steps and 6-speed transmission. The Century Royal is worth a little under £400.000. The Batmobile – the Batman movies from the 80s and 90s have played a huge role in inspiring this world-famous limousine. Sure enough, it is fitted with plenty of gadgets, which positively contribute to its uniqueness. 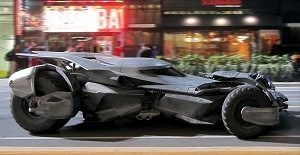 There is a jet engine, real flaps for assisting brakes, front and back wheels that eject plus a rocket and missile launcher in completing the Batman arsenal. The design of the limousine is based on a Corvette, except it has all the points and curves to make it superhero-worthy. The price is one no poor superhero can afford though – over £3 million. The Midnight Rider – this is a unique type of limousine in that it features a tractor-trailer, which is the only one ever built. This is another record-holder vehicle, as it ranked as the heaviest limousine in 2011 edition of Guinness Book of World Records. This limousine is one that can make your bar dreams come true, as it comes equipped with a full commercial-size bar, along with a crew of 5 people to tend it – 2 drivers, hostess and 2 bartenders. With 460 square feet of luxury, it is no wonder the Rider accommodates up to 40 people with ease and the estimated price is a little over £1.8 million. The Beast – Barack Obama’s limousine is well-known for its hefty price tag of $3 million. A lot of features dictate such a price, such as thick armour plates, firefighting equipment, gas canisters, oxygen tanks and weapons. Passenger capacity is 7, with 3 being the minimum – driver, the president himself and a lead Secret Service agent. These are all perfect examples of limousine ingenuity. As prime members of the limo family, these vehicles are worth every penny.